FOX Sports South goes behind the scenes with the Miami Hurricanes. FORT LAUDERDALE, Fla. — Debuting in December on FOX Sports Florida and Sun Sports, DRIVEN: The U, Miami Basketball, goes behind the scenes with the 2012-13 ACC Champions as they look to rebuild after losing six players to graduation and to the NBA draft (air dates below). 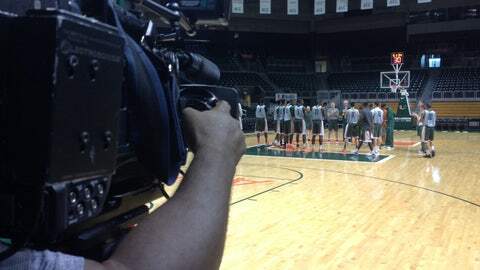 The FOX Sports South production will give viewers inside access to the program as head coach Jim LarraÃ±aga and his staff prepare for an interstate contest with the University of Central Florida.